CHICAGO -- Authorities say a man was caught in Chicago's Union Station with a loaded handgun, wearing a bulletproof vest, and carrying a bag of police SWAT equipment. The 21-year-old California man, identified as Isaiah Malailua, is being held in a jail on $100,000 bond. A spokesperson for the Cook County state's attorney tells our sister station WLS that investigators believe the SWAT gear was stolen from New York City police. The suspect was arrested Friday morning at Chicago's busiest train station. 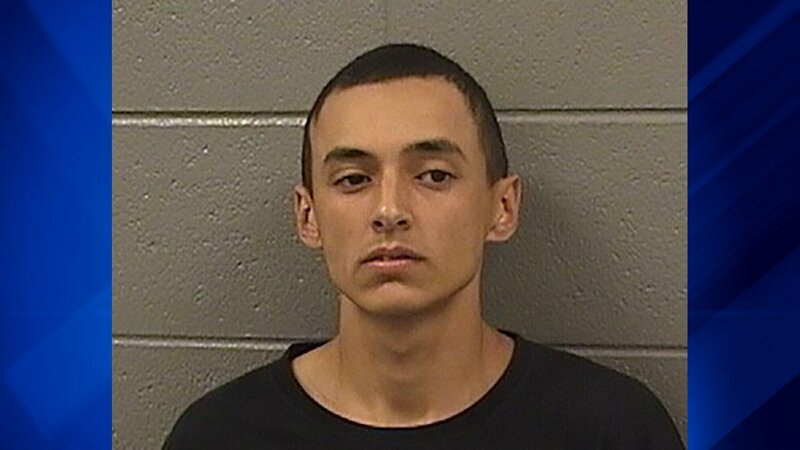 He is being held in jail on a charge of aggravated unlawful use of a weapon/body armor according to officials of the Cook County sheriff's department. The loaded gun he was carrying was a Taurus brand 9mm pistol, investigators said. This incident is the second time in a little more than a month that an armed man has been arrested in downtown Chicago while wearing bullet-resistant body armor. The first case, February 13, involved a fatal shooting. That suspect, Shomari Legghette, a four-time felon, was arrested after police said he allegedly used a 9mm pistol to shoot and kill CPD commander Paul Bauer. Friday's arrest did not involve shots being fired or any injuries and there is no known connection between the cases, other than similar circumstances. Authorities said Malailua, from Redding, California, was arrested after police dogs detected explosive residue in an unattended bag. Officers at Union Station then found items in the bag with NYPD SWAT patches and a bus ticket for Malailua. "We are aware of the incident and are working with authorities in Chicago," said NYPD representatives Sunday. "The investigation is ongoing."